Every single hotel we stayed at mainly used styrofoam cups, styrofoam plates and plastic cutlery at their breakfast bar. All of these single-use products got thrown in the bin, ready to be distributed to a landfill and sit there for 500+ years to decompose. Not cool, right? Is it really that hard to wash some plates and cutlery? Or use paper cups instead of styrofoam? Luckily not all restaurants, hotels and cafes are like that! During our stay in Utah, we stumbled upon a little bakery that caught our eye. Kanab Creek Bakery turned out to be not only a great place for breakfast/lunch, but they also try to help the planet. 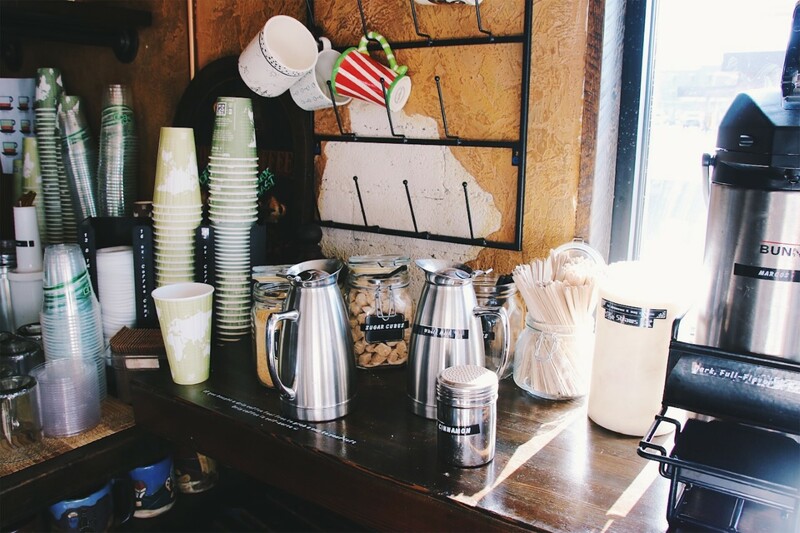 From compostable cups to washable plates and cutlery. 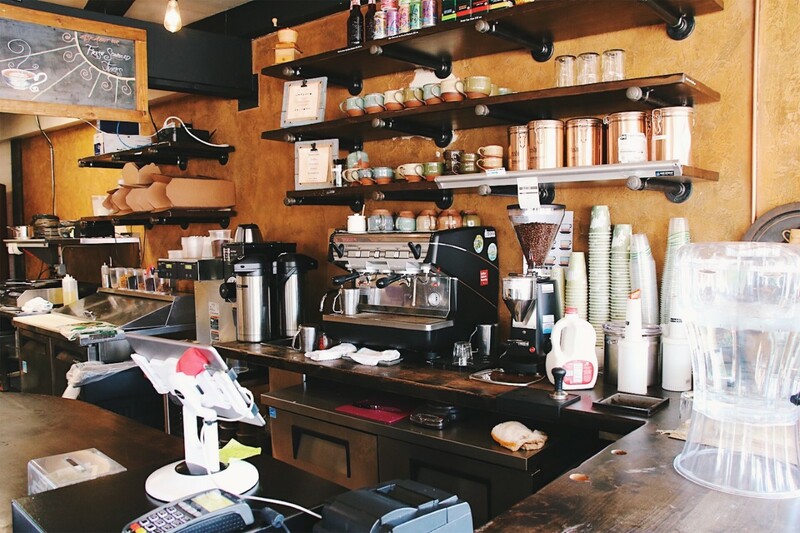 Kanab Creek Bakery uses Eco-Products‘ cups and lids, which are made entirely from plants! 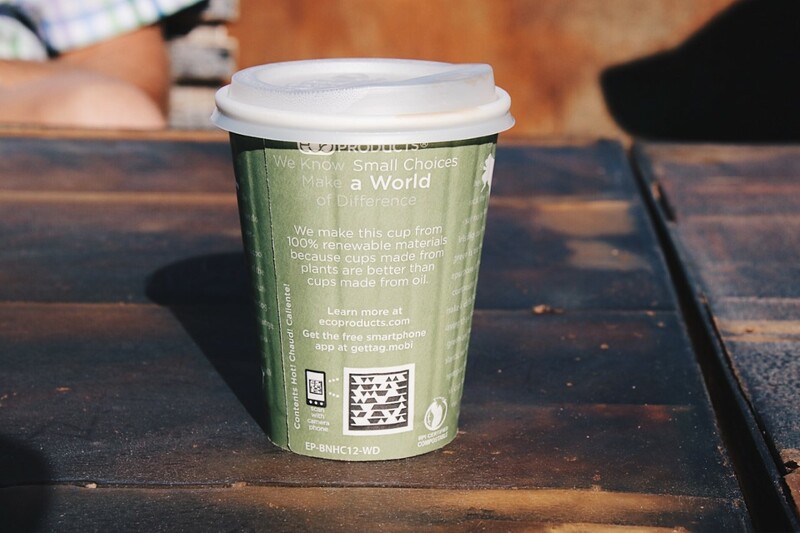 Instead of using oil to make plastic cups that won’t break down for 450+ years, these plant-made cups decompose in as little as 45-60 days when composted. I had a little chat with the owner, who told me they were waiting for the delivery of paper straws. They are going to be the first cafe in Utah to use paper straws! Unfortunately, their order kept being canceled due to the little demand for them. It baffles me that the USA is so behind on sustainability. I’m seeing the movement become much more popular in Europe. Big restaurants chains are switching to paper straws and coffee shops offer discounts for using your own reusable cup. I don’t understand why this movement hasn’t reached the US yet. It warms my heart that a little independent bakery in Utah is showing America how it could and should be done. 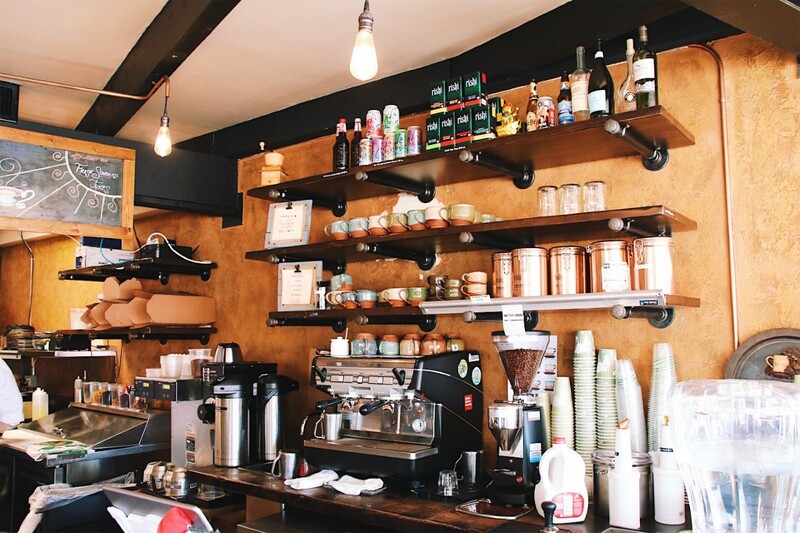 Apart from their zero-waste policies, their food and atmosphere are just as amazing. The traditional European food preparation gives the pastries just that little bit of extra that I’ve been missing in other cafes during my road trip. 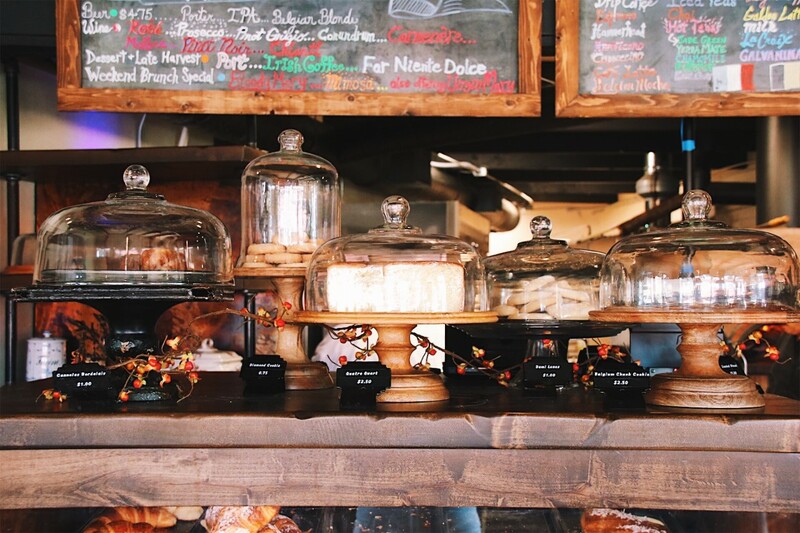 Kanab Creek Bakery uses a wood-fired oven to prepare many of their hot food menu items. 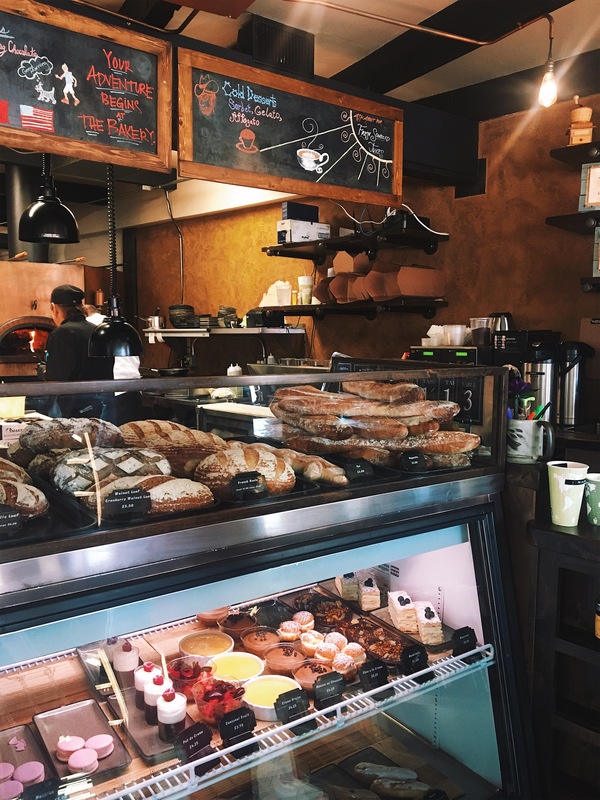 The oven gives the bakery so much more atmosphere. You can see the passion for food these people have and their enthusiasm is contagious. This bakery also offers a lot of vegetarian and vegan options, more than I’ve seen in other breakfast/lunch places. They have everything from sandwiches and crepes to omelets and salads. As a major coffee drinker, I have to say that their drip coffee definitely falls into my top 3 coffees I’ve had in America. 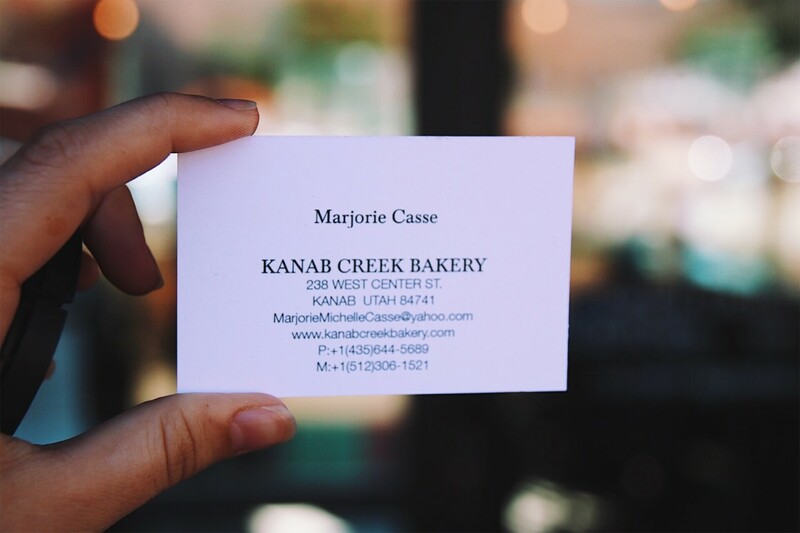 If you ever find yourself in Kanab, please go and check out this amazing bakery and support them! I’ve fallen in love with them, their food and their amazing ways of helping the planet by offering so many zero-waste alternatives. What do you think about cafes and restaurants using paper straws/compostable cups? What would you like to see next in the zero-waste movement? I love that this way of life is becoming the norm and that there are even food outlets that advocate it too! China is another place where sustainability hasn’t caught on either. Tbh it feels like even in the UK the changes places are making are still very slow. The UK have some catching up to do when it comes to being planet friendly. I love how you have immersed yourself into this and you are taking is very seriously. If only More people took a personal interest in it also. We can only hope thinsg get better! I’ve never been to Utah, but if I happen to go I’ll check this place out! I LOVE to hear about establishments that are doing their part. Thank you for sharing this!